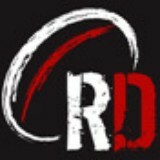 The biggest and best archive of rugby video clips available online. Big hits, great tries, funnies, and a whole lot more. Sharing the rugby love. Rugbydump.com hasn’t been active on Medium yet. Check back later to see their stories, claps, and highlights.